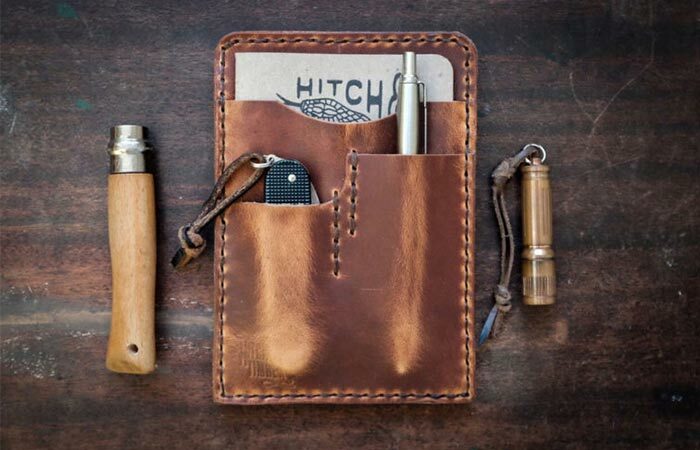 Hailing from Maryland, USA, Hitch And Timber is a company that produces high-quality leather goods. In their offer, you can find a variety of products, from wallets, keychains, notebooks, travel and EDC cases. Today, we’re talking about their awesome and stylish looking EDC Notebook Holder. 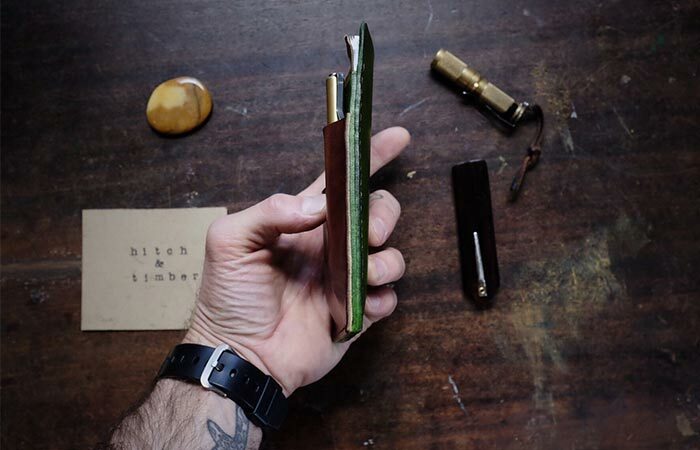 This wallet for your notebook is handcrafted and made from leather. To be specific, it’s made from 4oz American tanned Horween leather. The crafting process includes it being cut, stitched, and burnished. In every step of the way, this leather holder was made by human hands. 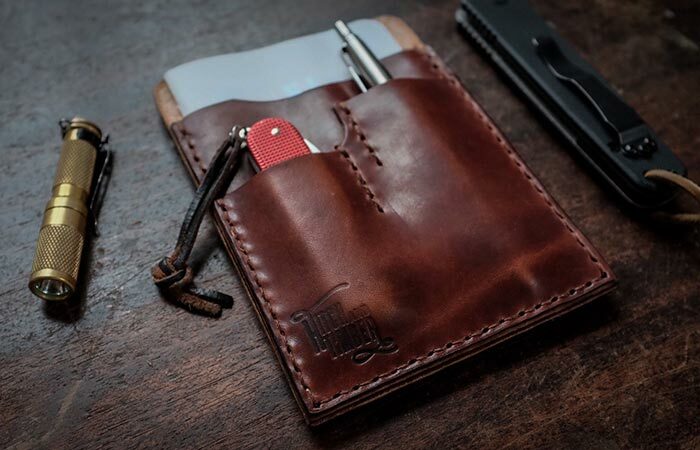 EDC Notebook Holder is handmade from 4oz American tanned Horween leather. The leather is infused with a blend of natural waxes so that when it ages, it will preserve its natural color. The overall dimensions of the EDC Notebook Holder 6 L x 4 1/4 W inches. Inside, in the big compartment, you can store your notebook, passport or 3.5 x 5-inch journal. Inside, you can store a notebook, pen, pocket knife, cards, and cash. As for the rest of the storing space, there’s a nice small knife pocket at the front for your Swiss Army Cadet or Buck 55. There’s also a bit taller front pocket for your pen. Inside, you can store other items like cash, cards and documents. The holder is thin and easy to carry.